If you’re for the river, we’re for you! You can help us share the stories of the Susquehanna Riverlands. 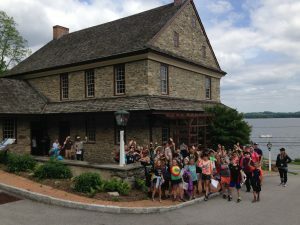 Your donation to Susquehanna Heritage, in any amount, supports our heritage education programs designed for kids and families, shows your support of outdoor recreation, and helps us get folks to the river and on the river. 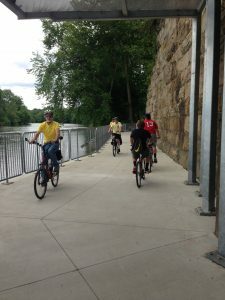 When you make a donation you officially become a Friend of the River – shorthand for supporter of Susquehanna Heritage! Gifts can be made by check to Susquehanna Heritage or Online. Honor a friend, family member, your business, or yourself, or memorialize a loved one by purchasing a brick on our Heritage Walkway. Find a brick order form here. Join us for River Experience, our annual celebration of the river! Become a sponsor or buy tickets. The Susquehanna Riverlands is an asset for local businesses. What a wonderful region in which to live, work, and play! Through corporate support of Susquehanna Heritage you raise the profile of your organization by enhancing the valuable recreational resources available to your workforce and helping us attract visitors to this region. You will also play a role in the expansion of our youth programs and field trips to students in additional Lancaster and York County schools, improve access into Native Lands County Park adjoining the Zimmerman Center, make the dream of of visitor shuttles on the river come true, and develop science-based programs to share with people of all ages and abilities. If you are an approved business, please help us connect kids to the river! Find us on page 25 of the PA EITC list of approved organizations. Not yet participating? Learn how to reduce your PA Income Tax Liability by partnering with Susquehanna Heritage – become a participating business. Susquehanna Heritage shares the story of the Susquehanna Riverlands through PA EITC programs. Our field trips for elementary school children is a collaboration with the National Park Service Every Kid in a Park Program. In the last two years over 600 4th-graders from Eastern York School District, York Academy Regional Charter School, and Columbia Borough School District have learned Susquehanna River heritage through hands-on adventures into Native Lands County Park, stream studies that illustrate our impact on the health of the Chesapeake Bay, and how others have been inspired by the river. Help us share this rich experience with even more kids! You love the river. 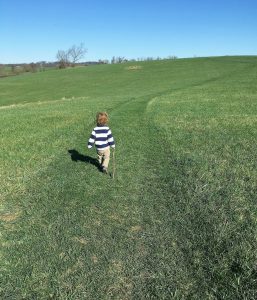 You want to share your love of the Susquehanna Riverlands for generations to come. Plan now to give the gift that keeps on giving for your children and grandchildren. Help us share the legacy of the Susquehannock Indians and instill the inspiration of the river – forever. A bequest in specific dollar amount. A residuary bequest as a percentage of your total estate, or that remaining after other specific gifts have been awarded. There are giving tools to share what is dear to you about the Riverlands, including retirement accounts, charitable remainder trusts, insurance policies, investment accounts, etc. Your attorney or financial advisor can help you determine the best course for you to assure your dreams for the future are met. Contact your attorney/financial advisor to include Susquehanna Heritage in your estate planning or contact us at info@SusquehannaHeritage.org.